When I skyped Jérôme Choblet (Domaine des Herbauges, Muscadet Côtes de Grandlieu) this morning he was brief and to the point: "Superb! We'll probably start around the 12th - 14th September." A call a little later to Pierre and Monique Luneau (Domaine Luneau-Papin, Muscadet-de-Sèvre-et-Maine) evoked a similar message. "Beau," said Monique. "It's looking good," said Pierre. "It has been dry and hot. The grapes and vines are very healthy. Some of the young vines, whose roots aren't very deep are suffering. It should be a good vintage – here years that end in 9 are often good – 1979, 1989 and 1999. Difficult to compare it with a previous vintages but maybe 1997 or 1999. Although it is too early to say, my guess is that our average yield will be around 50 hl/ha – some parcels at 45 hl/ha others at 55 hl/ha. "We'll probably start harvesting around 14th September, although some of my neighbours may begin next week around 9th-10th. 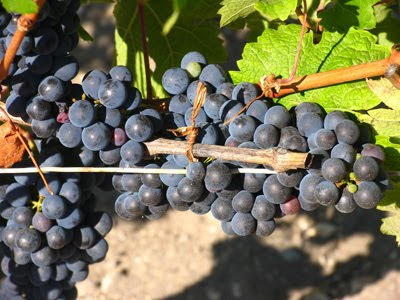 The technical people started checking the vineyards last Thursday to determine the date for the ban des vendanges – the grapes are at 9˚ potential alcohol with 7/8 g acidity, which is quite low for this stage." It is, of course, dangerous to make predictions before the harvest and rather tempts fate but if the weather holds for the next few weeks then Muscadet will get, what many growers desperately need, a normal vintage in quantity of good quality. 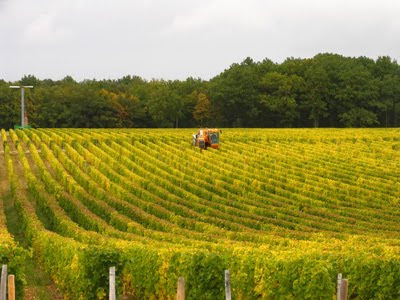 This appears to be less so for growers who rely on selling their wine to the négoce, who are not buying even though there is a shortage of Muscadet after three small vintages. Pierre told me of one producer, seen by his son recently, who has 1000 hl of 2008 still in his winery – almost the entire production of that vintage. The problem of course, is that producers, who still have substantial stocks of 2008, may not have enough space for 2009, and once the 2009s come on the market there will be even less demand for the 2008. Pierre and Jérôme have promised to send me photos of their grapes, so I look forward to getting these and posting them up on the site. 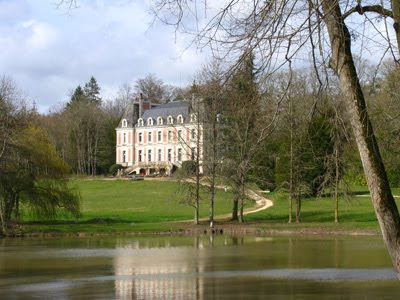 Incidentally Guy Bossard's domaine is still for sale. "Superb!" 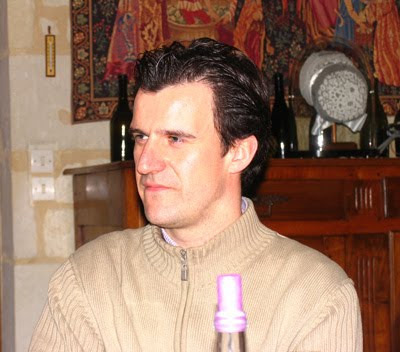 is also Frédéric Mabileau's opinion on the current state of his vines, although this optimism is tempered by the vines, especially young vines, suffering from lack of rain. Fred and his family have been out regularly doing their rain dance and singing water inducing songs but to no avail. Fred: "There is some rain forecast for this week but it will probably pass to the north of us. If it doesn't rain the grapes will be very concentrated, very small with thick skins, which will make the fermentation difficult. However, the Chenin vines at Le Puy Notre Dame are not suffering from water stress at all. I had thought that we might start harvesting at the end of September but the drought is slowing ripening, so I think it will now be the beginning of October." Thomas Meunier, their export director, left at the end of July with his American girlfriend to seek his fortune in the United States. He is living in North Carolina and is now establishing an agency to help French winemakers to extend and improve distribution of their wines in the southern part of the USA. I'll act as an agent/importer to open up distribution in Southern states (North Carolina, South Carolina, Georgia...). My role will be to find the distributor that most suits each brand/producer, take care of the logistics from winery to distributor warehouse, providing updated trade information, train the sales team, support the sales rep in the market, create incentive and make sure of re-orders. I'm looking for wineries that use organic or sustainable agriculture, harvest by hand, natural yeast, what we should expect to have a "Vin de Terroir". 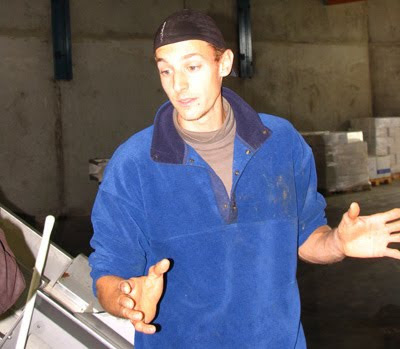 After four years at Interloire looking after exports, Pierre is leaving to set up an oyster bar in Les Halles, Tours. 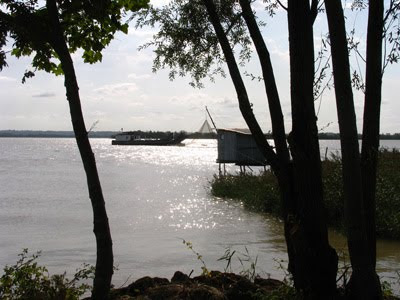 This will allow him to continue to promote Loire wines, which are naturally a great foil for oysters. Indeed there is a view that oysters were designed and invented specifically to go with Muscadet and Gros Plant. Pierre's bar is due to open in late October – around 24th. 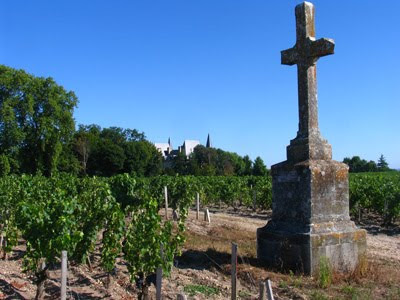 La Nouvelle République (29 August 2009) had a round up of news of the forthcoming vintage from the Central Vineyard appellations. 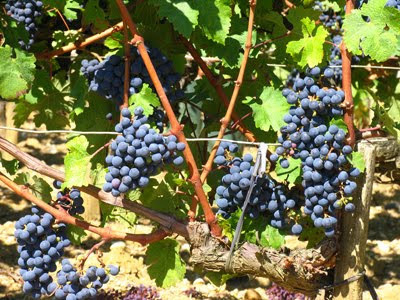 'Le vignoble a une semaine d'avance pour la maturation et jouit d'un bon état sanitaire. 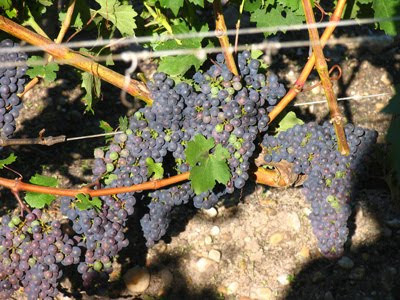 Mais l'appellation Menetou est détruite à près de 80 %. Menetou-Salon: 75%-80% of the 2009 crop destroyed by succession of hail storms with the one of 16 July being particularly destructive. 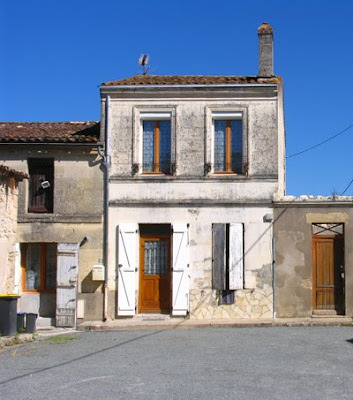 Vignoux, Menetou, Soulangis are Parassy are the worst hit communes. Sancerre: Some hail damage especially in Bué, Crézancy, Vinon and Sancerre. Still too early to say but harvest may start around 20 September. Quincy: Looking good with the recent fine weather. Picking to start around 15 September possibly before? 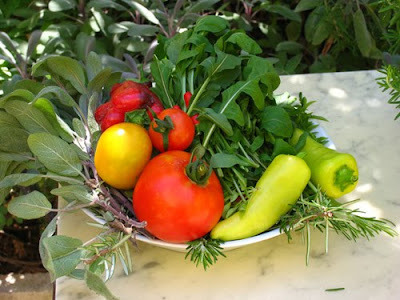 Small harvested predicted. Reuilly: Also looking good as recent fine weather has got rid of the mildew. Hail damage around Preuilly damaging 20%-30% of the crop. 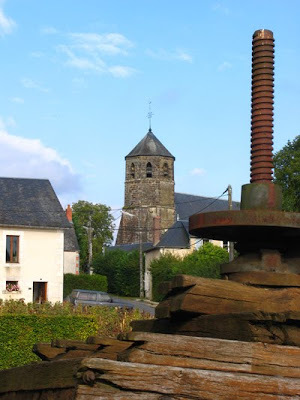 Although Preuilly is just south of Quincy, it is part of AC Reuilly and is the only commune in the appellation in the Cher Valley, the rest are about further west in the Arnon Valley with Reuilly about nine or ten kilometres west of Preuilly. 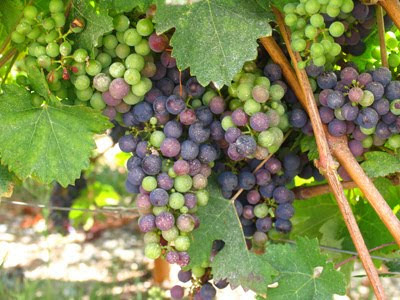 Likely to be a fairly early harvest starting around 10 September. See map of AC. Due to economic problems and falling sales La Nouvelle République will no longer publish its edition for the Cher départment after 30 September. Apparently La Nouvelle République lost €2 million in the first third of 2009. See comment here. The report on my visit to the domaine is here. 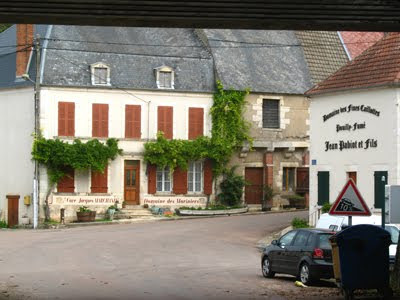 The Tasting Room (Cathy Shore & Nigel Henton) are praising these chambres d'hôtes in the centre of Chinon. See here. In my posting of 19th August 2009 I quoted the claim by the Chambre d’Agriculture of the Auvergne that in 1895 the Puy-de-Dôme was France’s third départment viticole with 44,000 hectares of vines planted. I'm not sure that this is correct having looked at the tables of production and area under vine in Marcel Lachiver's seminal work: Vins, vignes et vignerons (Fayard 1988). Given the semi-mountainous topography of Le Puy-de-Dôme, it would be surprising even in 1895, unless it was an anomaly due to phylloxera, that there were more vines here than in places like the Midi and Bordeaux. One of the most fascinating aspects of Marcel Lachiver's book is the appendix with the tables of statistics covering La Vignoble Français from 1788 (just before the French Revolution) to 1987. Here you will find details of the area planted per départment, production, yields and the number of producers. 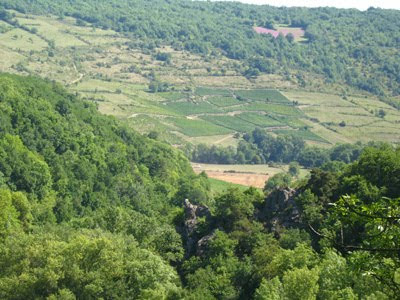 According to the stats quoted by Lachiver for 1890-1899 there were 44,055 ha of vines in the Puy-de-Dôme départment. However, the Aude (115,998 ha), Gard (56,154), Gers (78,620), Gironde (139,035), Hérault (174,497) and Pyrénées-Orientales (54,240) all had more over that decade. Certainly around 1895 was the high point for Le Puy-de-Dôme, the following decade (1900-1909) the area had dropped to 26,003 and to 17,983 in 1910-1919. In 1788 there had been 17,112 ha. So it looks like le Puy-de-Dôme was the seventh largest French départment viticole in the last decade of the 19th century not the third. Still this remains a very significant area under vine. 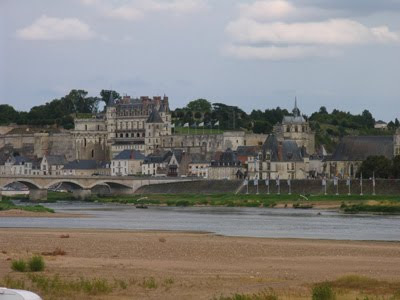 After all the entire Loire Valley has only 70,000 hectares of vines planted and it is the third largest French wine region. Muscadet, the Loire's largest appellation with around 13,000 ha covers only 29.5% of the area once under vine in le Puy-de-Dôme! 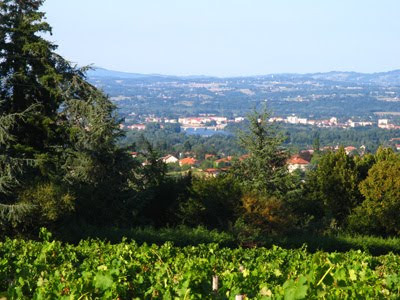 Nor can Le Puy-de-Dôme claim to have been the third départment in terms of wine production during the decade – 1890-1899 – when they produced 1,032,199 hls. 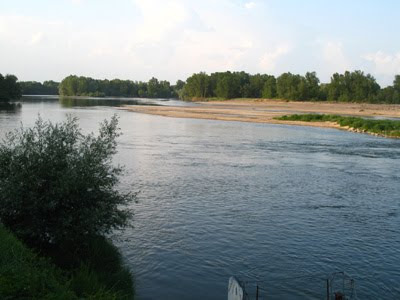 They were outstripped by Aude (3,627,598), Bouches-du-Rhône (1,073,201), Gard (2,006,494), Gironde (3,996,586), Herault (7,521,051) and Pyrénées-Orientales (1,705,717), so they were seventh in production too. Quelque 150 auteurs sont attendus à Chanceaux-près-Loches aujourd'hui pour la Forêt des livres. Une manifestation qui nécessite une solide organisation et de nombreux bras bénévoles. 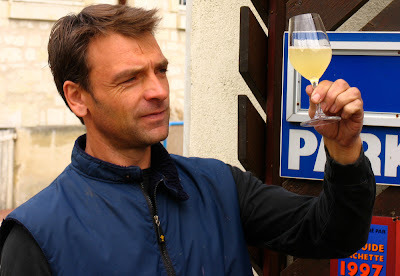 As Fabien had to head off for a meeting in Bourges we didn't have time to taste his wines during my visit to his domaine on 10th August, so he gave me samples that I tasted over the next few days. This is a blend of Sauvignon and Chardonnay. 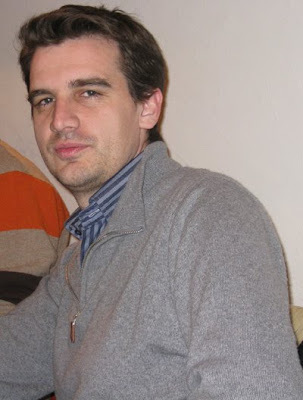 "The Sauvignon from here is not aromatic unlike those from Sancerre and Pouilly," Fabien had told me. 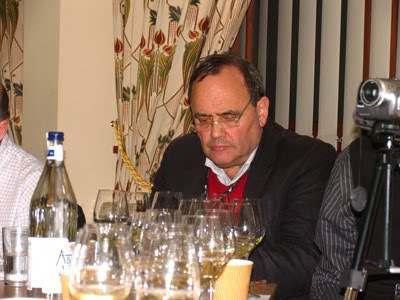 He is quite right there as this is an easy-drinking crisp, minerally white. To be drunk fairly young but, tasted blind, it would be very difficult to pick out the blend of grapes used. This is a an attractive pale-coloured rosé (vin gris) style and is mainly Gamay (95%) with a pinch of Pinot Noir (5%). Generous red fruit flavours but still crisp and refreshing. 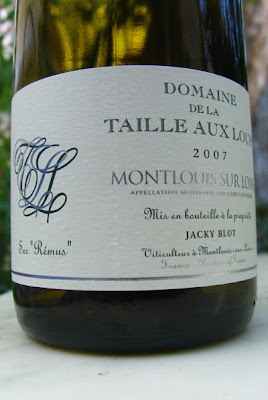 A fine summer aperitif and more interesting than the domaine white. 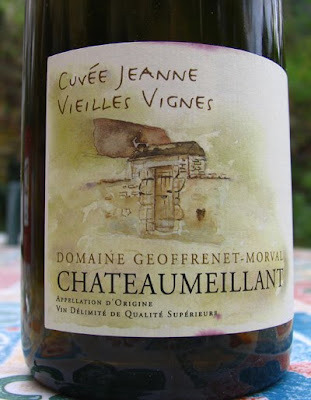 Made from 100% Gamay (70% young vines and 30% old) this is a soft, easy-drinking red with a hint of sous bois. Lightly chilled it could be drunk on its own and would be an enjoyable bottle with a light summer lunch or picnic. It would also work well with fish like sea bass or salmon. From vines of at least 50 years old, this is a blend of 90% Gamay and 10% Pinot Noir. Richer and more structured than Version Original – being a 2006 adds to the difference, of course. Drinking well now, this could be kept another two or three years. My preferred G-M red made from at least 80% Pinot Noir with Gamay making up the difference. Mid-weight EV has good Pinot Noir character and is currently drinking well for a 2007. It would be interesting to taste a 100% Pinot Noir from Fabien. 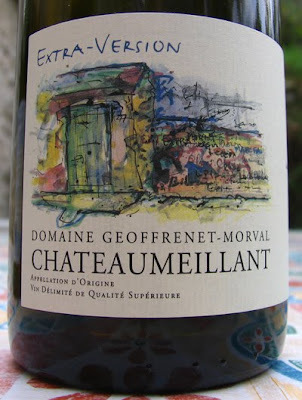 The report on my visit to Domaine Geoffrenet-Morval is now complete. Click here. 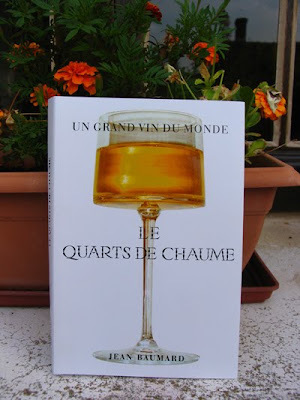 Stockists of Jean Baumard's book on the Quarts de Chaume can now be found here. 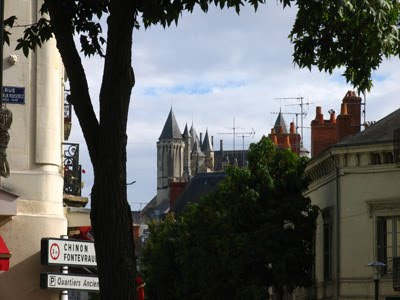 Plus de 6 000 visiteurs sont attendus entre Loire et Saumur pour la 5ème édition du Marché des Vins ! Tout un programme à consulter sans modération ! Amoureux de la nature et du patrimoine, découvrez la Vallée de Clisson en faisant 1, 2 ou pourquoi pas 3 randonnées au cours du week-end… A pied ou en canoë, le matin ou l’après-midi, ou encore en nocturne, découvrez et admirez le patrimoine et les paysages du vignoble nantais. Pour encore plus de plaisir, adhérez à la formule : 1 nuit en chambres d’hôtes ou chambre au château avec petit-déjeuner pour 2 personnes + 1 menu gourmand + 1 menu détente pour 2 personnes. 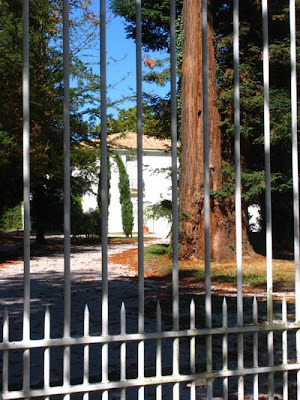 Tarif : 69 € / personne - 100 € / personne au château. 'Samedi 29 et Dimanche 30 août les vignerons du sancerrois vous invitent aux Caves de la Mignonne à la découverte de leur appellation et de plus de 60 autres appellations de France. Convivialité et découverte sont les maîtres mots de ces deux journées en Sancerrois. 'Samedi 29 et Dimanche 30 août Quincy fête depuis près de 40 ans, les noces sans cesse renouvelées des produits de la mer en provenance directe de l’Ile d’Oléron et des Vins de Quincy. Grande fête populaire dont le succès ne s’est jamais démenti. 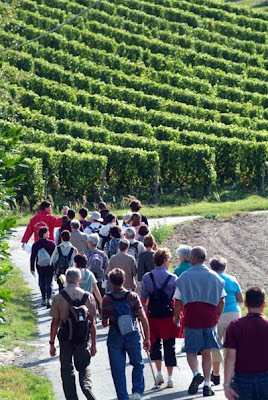 'Parcourez 10 km dans les vignes de Menetou-Salon. Partez à la découverte de lieux insolites qui font le charme des paysages du Berry. Entre vignes et sous-bois, profitez de pauses gourmandes. 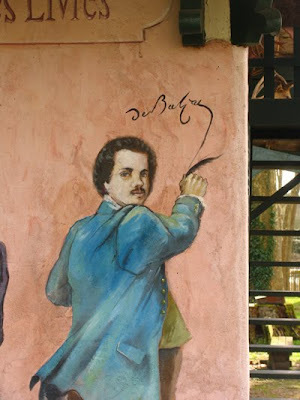 Ecoutez les artistes, historiens, conteurs et professionnels du vin vous livrer leur histoire. 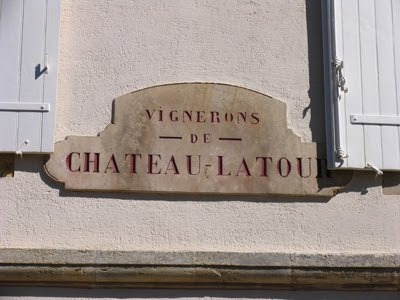 Entrez dans la cour du Château de Maupas, installez vous à la table des vignerons et laissez vous servir des mets et nectars. Au son de la vielle et de la cornemuse, participez à la célébration des noces d’Or de l’homme et du terroir !! 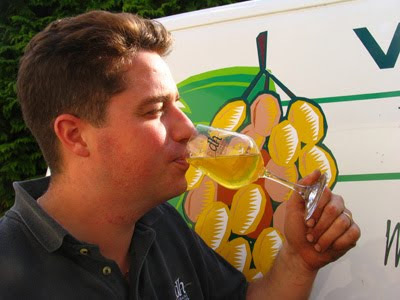 This time last year we launched Jim's Loire. I'm not sure what our expectations were at the time but 652 posts later we have certainly been very pleased to have attracted nearly 50,000 visits* in the first year and to have a number of regular readers. On weekdays visits average out a little over 200 a day, dropping a little over the weekend. It is difficult to know exactly how many first year visitors we have had as we didn't put the sitemeter on until the end of September – now recording a total of 48,348 visits. The sitemeter recorded 2002 visits in October 2008, the first full month, but would be surprised if Jim's Loire had attracted 2000 visitors in its first month when there was no meter. It has been great to get comments and feedback. The site has given me an opportunity to write about producers that I could never cover in a magazine and in a way that just wouldn't be possible. My sole regret is that I am still behind in writing up some of the visits that I have made. * Update: my sitemeter recorded the 50,000 visit on 4th September. 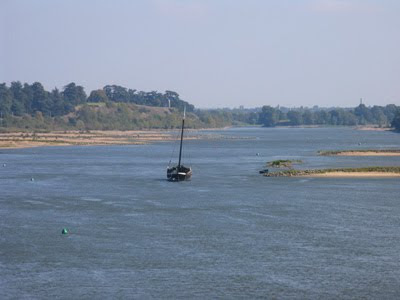 To celebrate the first year I have chosen some pictures of the site's heroine – La Loire. Running downstream. Here are some figures from Méteo France on average maximum temperatures for the months of July and August from 1999 to 2009. Unsurprisingly Tours is invariably cooler than Bordeaux, although the gap appears to be less marked in hot Augusts like 2003 and 2009. Although not as hot as 2003, 2009 is noticeably hotter than the rest of the decade. Another indication that if the weather holds up into and through September, 2009 could be a good vintage for those not hit by hail or badly affected by mildew earlier on. 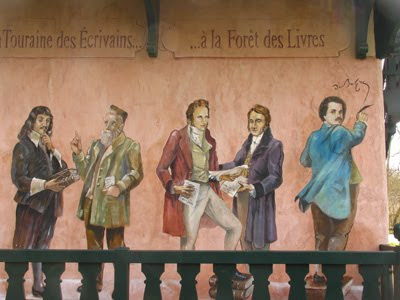 The 14th edition of La Forêt des Livres is this Sunday (30th August 2009) at Chanceaux-Près-Loches. 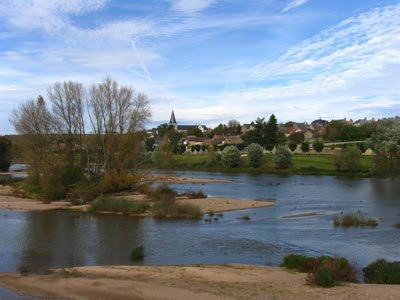 The 2008 edition attracted 50,000 visitors to this normally quiet and attractive part of the Touraine countryside. Details here. 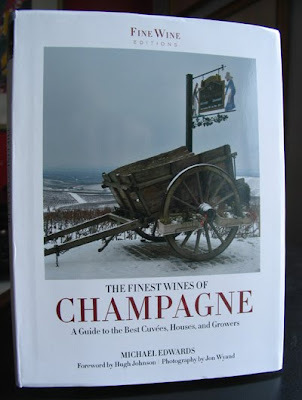 Yesterday I picked up review copies of these two new books that are in the first of a new series of wine books from a joint-venture by The World of Fine Wine, Aurum Press and the University of California Press. This is good news as wine publishing in the UK, which used to publish some of the most exciting English language wine books in English, has recently become extremely conservative and moribund. Unlike the USA, where lively and interesting titles have continued to be published, the UK publishers have retreated to a small number of tried and tested titles. In particular Mitchell Beazley (Octopus Publishing Group) dropped the Classic Wine Library series that they had bought from Faber & Faber, which included classics like John Livingstone-Learmonth's Wines of the Rhône. 'Are books dead? There are certainly some in the wine wrold who seem to think so. But we are not among them. The advantages of the Internet are clear for all to see, but books can still offer something distinctive and worthwhile. From the right author they offer information that is not available online, as well as convenient presentation, sustained treatment, and a unique voice. 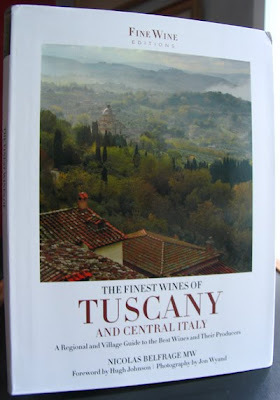 That is why we are embarking on a new series of fine wine guides (published by Aurum in the UK and by the University of California Press in the US) – itself something of a story when so many other publishers are withdrawing from the market. These books don't attempt to be comprehensive, but rather to be much more selective, sacrificing breadth for depth and adopting the definition of 'fine' that High Johnson proposed five years ago for our magazine: 'the wines most worth talking about'. Certainly in the first two titles it is the quality of Jon's photos, especially the portraits of producers, that immediately impresses, particularly important as the first two books are essentially a series of profiles of the leading producers. I assume that this will be true of the rest of the series. I haven't had time to dip into Tuscany yet but in his Champagne profiles Michael Edwards again shows that he is a deft and stylish writer. 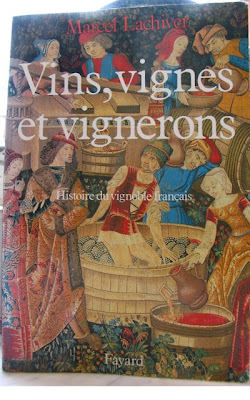 Staying with books, Harry Karis' The Châteauneuf-du-Pape Wine Book has now been published. Details can be found here. 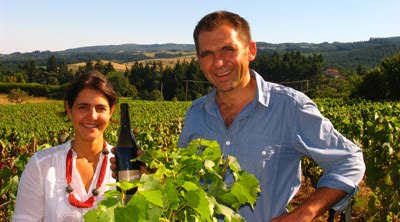 Michel Redde et Fils have 40 hectares of vines in Pouilly, mainly planted with Sauvignon Blanc but with a small amount of Chasselas to make Pouilly-sur-Loire. 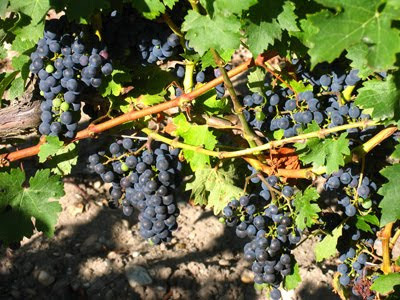 They are one of the appellation's leading producers. 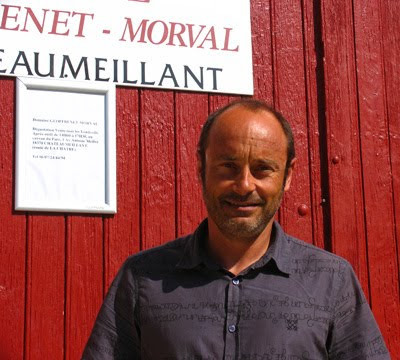 Thierry Redde is the sixth generation to run the family estate. 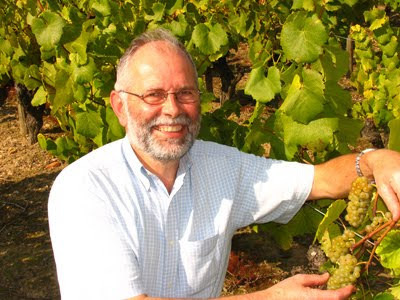 It was Michel, Thierry's father who expanded the vineyards and built up the business. Like the majority of the farmers at the time his parents had been polyculturalists raising cows and goats as well as having some vines. Michel built the chai and tasting room 'La Moynerie' at Saint-Andelain that used to stand beside the Route National 7 until it was superceded by the Autoroute A77. Thierry has now been joined by Sébastien, one of his sons. Available from: Handford Wines (London), Whole Foods Market (London), The Vineyard (Lancashire), Philip Pruden Wines (Leicestershire), Frank E Stainton (Cumbria). 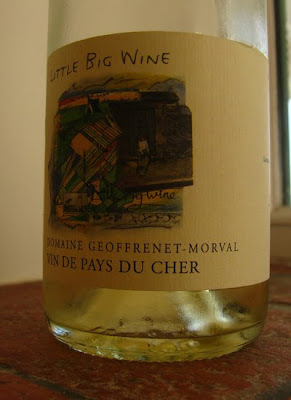 Youthful tinge of green, lemony and lean, clean and mineral. Touch grassy and with some grapefruit but with quite sharp acidity. Bottled early this cuvée comes from the estate's youngest vines. 'Petit Fumé' is a fair description of this light and fresh wine. The problem is that the price (£15.99 recommended) is not 'petit'. Available from: Hailsham Cellars (E. Sussex), William Mason Fine Wines (Norfolk). This has more concentration, character and riper fruit both on the nose and the palate than the 2008 Petit-Fumé, while having the typical steely precision of the 2007 vintage. It may take on more weight with further time in bottle. 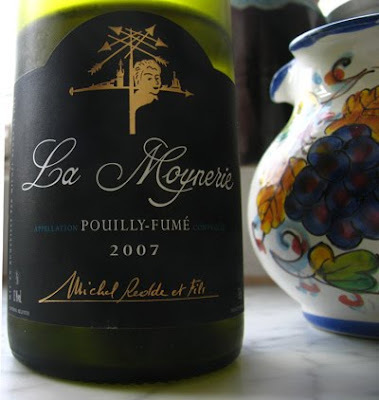 La Moynerie is worth the additional £2 on the Petit-Fumé. However, it is poor value when compared to Jean Pabiot's 2007 Pouilly-Fumé Domaine de Fines Caillottes, which we drank on Monday night. It is available from Telegraph Wines for £12.92 per bottle in a case of six. Curiously the bottle price is only £10.92. 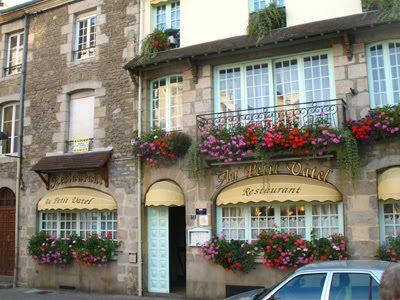 We stayed overnight in Alençon and ate at Au Petit Vatel. We'd eaten once before at Au Petit Vatel but at least 20 years ago. The evening got off to a good start with Jean Pabiot's very attractive 2007 Pouilly-Fumé Domaine des Fines Caillottes with its good weight of fruit and mineral length. It has the typical purity of the 2007 vintage but without the leanness that some Sauvignons of this vintage show. It made an excellent aperitif and worked well with my snails in puff pastry accompanied by scrambled eggs and my filet de bar. 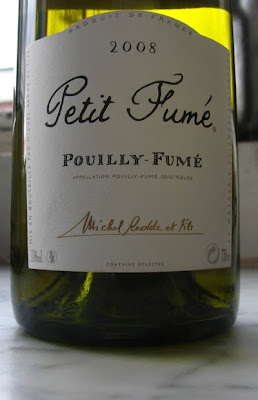 I have often been critical of Pouilly-Fumé but this particular one hit the spot. So what of Au Petit Vatel? Some and some has to be the verdict. We chose the 33.90€ menu that has been cut from 38.90 following the reduction in TVA for restaurant meals. My first two courses (mentioned above) were very good as were the homard parcels chosen by the the other two diners. However, the rognons de veau were not of the same standard and I have had considerably better elsewhere, although the mustard sauce was very flavoursome. I chose Camembert beignets as my cheese course. Unfortunately the dressing on the salad that accompanied the beignets was sharp and vinegary and needed more oil. The variability of Au Petit Vatel really underlined the quality of the meals we ate at Jacky Dallais' La Promenade (Le Petit Pressigny) and William Pages' Le Lièvre Gourmand (Vailly-sur-Sauldre). Our dessert of millefeuille of apple was cleverly conceived and delicious with dried slices of apple acting as the feuilles. Unfortunately the charlotte chosen by our friend was poor and tasteless. With main course and the cheese we drank a bottle of 2005 Cahors, Clos la Coutale. Still young but with very typically robust Cahors fruit. 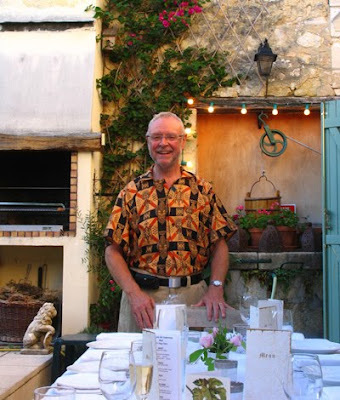 There is a good recent post on the 'Wishing I was in France' blog on the Auberge du Mail in Cormery. During the 1990s we used to go to this restaurant a lot and always had a good meal. For no good reason we stopped going, so this post was a reminder that we should go back again. Certainly fancy trying the Geline de Touraine (special local chicken) with the chèvre. 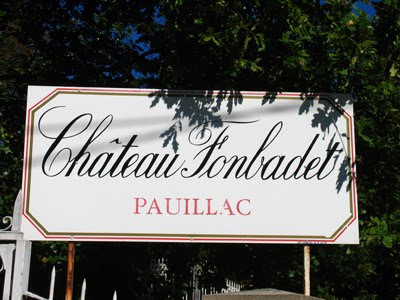 Report on the pre-60th dinner in Pauillac now finished here. Hugo used to be at Cordeillan-Bages and Café Lavinal. He is now planning to open a restaurant in central Bordeaux. 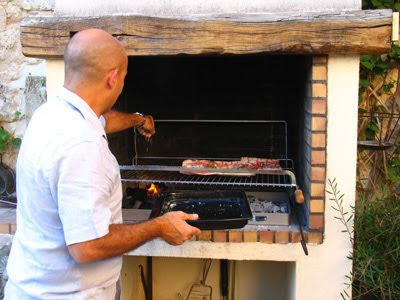 He agreed to cook this special dinner at our friend's house in Pauillac. Much of the preparation was done beforehand with Hugo cooking and assembling the dishes on the night. It was a great treat to watch Hugo at work and also to see how much could be prepared in advance. All good but the guacamole and the king prawn along with the cebiche, made from maigre – a local fish – were standouts. A great Italian classic – again apparently simple but wonderfully flavoursome. 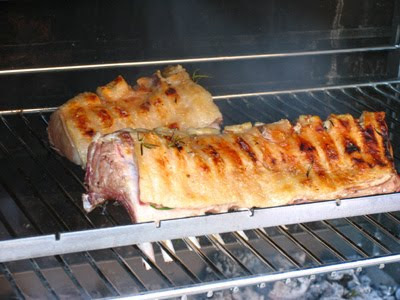 Hugo was born in Buenos Aires, Argentina, where kids are taught to barbecue almost before they can walk. Hugo has revolutionised our Pauillac friends' barbecueing technique by showing how to build up a pile of hot coals on one side of the bbq and to regulate the heat by moving coals across as they are required. Also a lot of the cooking is done at a much higher height than most people customarily use, so avoiding the charred and blackened offerings that are typical of many bbqs. Just as delicious and succulent as the photo suggests. Assorted berries from the Marche des Capucins in Bordeaux and a team effort in whipping up the zabaglione. We started with some Champagne from Eric Léger. The quality of Jean-Pierre Chevallier's top Saumur greatly impressed the eight of us, particularly two of our Pauillac friends' neighbours who said that there was nothing like this in Bordeaux. 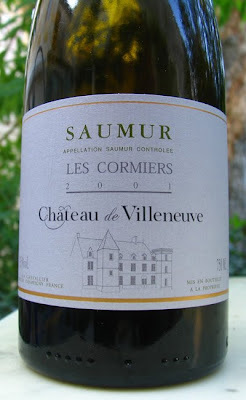 Initially the first bottle showed a little wood spice but this soon disappeared and the power, richness and complexity of Les Cormiers 2001 came through. The second bottle was a little more austere and mineral – clear bottle variation here. The 2001 Les Cormiers may well live longer than the 2001 Grand Clos that we drank the previous evening. 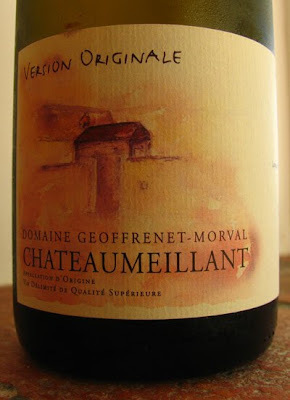 If this wine wasn't appellation Saumur, it would be considered as one of France's Grand Vins. 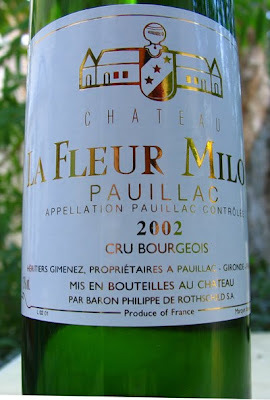 The 2002 Fleur Milon drinking very well now with soft, supple black fruits underlaid by that typical Médoc tannin and austerity – good match with the lamb. 2007 is the latest release of Rémus and it sold out within a couple of months.Served with the cheese, where despite being really too young its quite lean minerality worked well. 2007 is a vintage that should age well. This 1990 Vouvray was a glorious finale from Bernard Fouquet. Mid-golden in colour with rich honeyed, 0apricot confit fruit and barley sugar flavours plus wonderful texture, this was a treat: a wine to sip slowly. Given its concentration it went well with our dessert. At the Vouvray Foire aux Vins one of the Vigneau-Chevreau brothers maintained that its is 1990 that is the greater vintage in comparison to 1989. I don't agree and I think both Noël Pinguet and Philppe Foreau believe that 1989 is superior to 1990, albeit that 1990 produced some very rich wines but 1989 has more complexity and finesse. Whatever Bernard's 1990 Selection des Grains Nobles is a reamrkable wine. 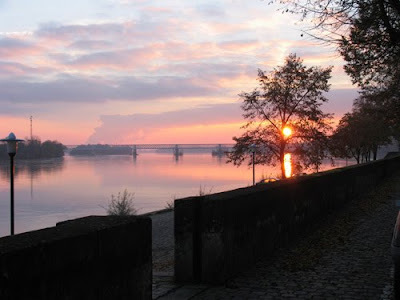 Leaving Pauillac this morning and heading up to Alençon before returning to London. 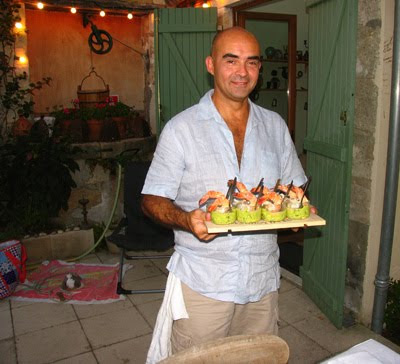 Had splendid dinner cooked by Hugo Naon, who used to be at Cordeillan-Bages and Café Lavinal. 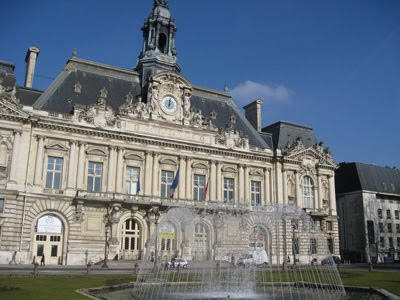 Hugo is now planning to open a restaurant in central Bordeaux. Details of the dinner and wines to be added later. August has been hot and dry down in Pauillac as well. 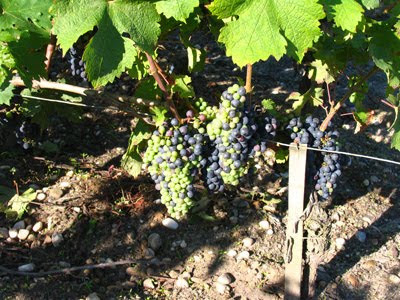 The grapes have changed colour – the véraison looks even with the grapes changing colour at the same time, unlike 2007 when there were very marked differences in maturity within the same bunch. 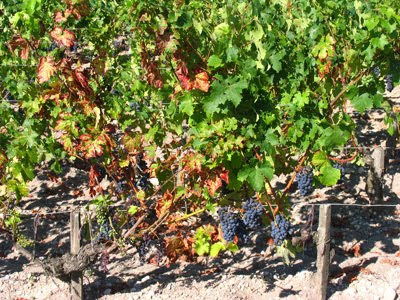 Unlike the equivalent weekend last year, the vineyards are dry and dusty – in 2008 they were saturated with water. If the weather keeps up then 2009 could be a good vintage. 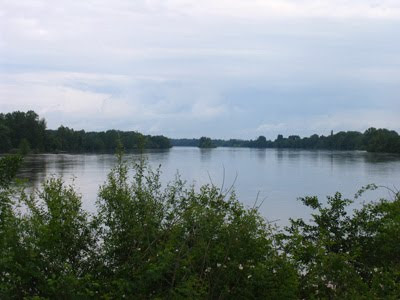 There is a risk of storms at the beginning of next week as there is in the Loire but clearing up from Wednesday. Obviously there is a while to go and September could turn out to be poor but things at this stage are certainly looking more promising than they were this time last year and in 2007. As in other vineyards in France, esca is a problem disease here – it is no respecter of grands crus! 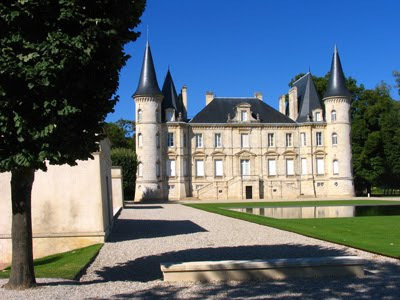 Should the vintage be good, I suspect we will see hefty price rises for 2009 Bordeaux en primeur, particularly at the top end. 21st August 2008: Pichon-Longueville - still many green grapes here. Ground was also very wet.